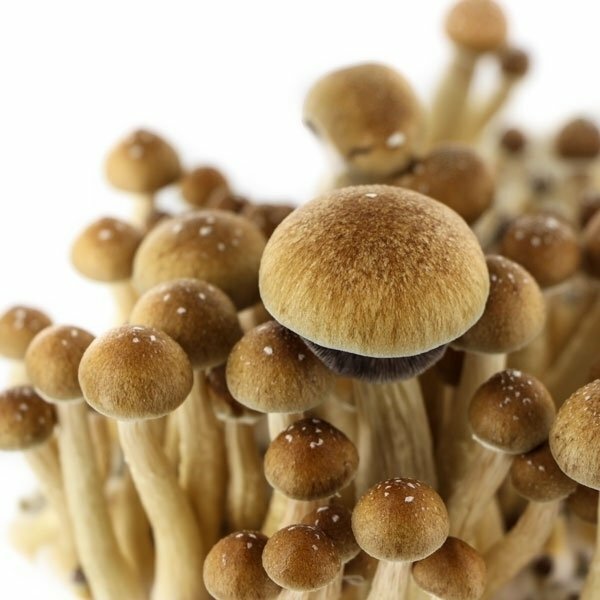 Psilocybe Cubensis McKennaii is said to be an even stronger strain than the popular and famous (and hard to cultivate) Hawaiian (Copelandia cyanescens). It definitely is for the more experienced, visually interested psychonauts due its very philosophical trip with a strong visual component. 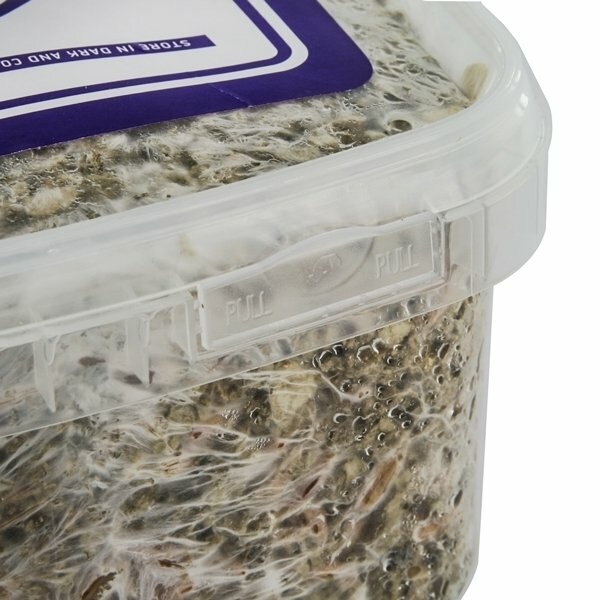 This grow kit contains a 100% colonized 1200ml cake. 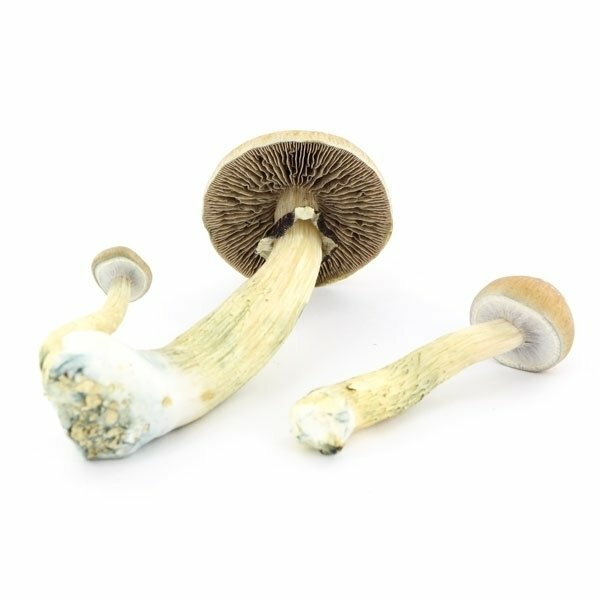 Psilocybe Cubensis McKennaii is allegedly an even stronger variety than the famous and popular (and hard to grow) Hawaiian (Copelandia cyanescens). This strain is obviously for the more experienced psychonauts as it provides a very philosophical voyage with a strong optical component. These grow kits contain 1200ml of fully colonized substrate, ready to grow - this is a 100% package! All you need a little patience. Godfather of this strain is the American writer, teacher, researcher and psychonaut Terence McKenna. Bon bah rien de spécial à dire, au niveau des effets c'est dans mon TOP 3 en matière de champignons, à base de 4.5g ou 5g sec par prises et 4 semaines minimum d’écart entre elles. Au niveau des flushs j'entame le 3eme, en 2 flushs j'ai obtenue un peu plus de 25g après dessiccation. Grows well, is very potent and an all round good kit. Jaw dropping visuals and profound ideas, nice fat shrooms from the flush too average about 30g wet per fruit. Customer service and advice was top notch. Will absolutely be using again. Thanks guys! I wanted to do a complete review on this, so I had to wait for almost two months to do it. I've come up with almost 400gs (fresh) from 5 flushes, thanks to the heating mat. Drying process: epsom salts. Dried: 36gs. I've also tried with oven at min temperature but it was a total failure: they lost all their power, really almost everything of it. I've taken many in my life, not so often, but really, many, and these kids are the top: I've never had these kind of unexplainable complex geometrical visuals, mind is completely pure and everything can be controlled well (I still haven't tried the highest doses, but 1g is yet a nice trip). Only thing is the duration, about 3-4 hs, which could also be good if you want to not loose all the day on it. Last but not least: powerful extasy feeling!! it´s been my fourth strain so far, and for sure the strongest. Growing is simple and fast, when using a heat mat. I have only two points of critics: 1. The bags are a bit weak, and tend to collapse. 2. I don´t know, how people manage to get out 4+ flushes. Realistically, I had never more than four, where the last flush been a single mushroom. Total yield around 250-400g fresh. With this kit, I had the first time green mold, spoiling the kit after the first flush. Very nice and easy harvest, grew fast, several flushes ! Extremely potent !!! When I put the kit in the bag, how much water should I spray every day with "100% Mycelium kit Mckennaii"? So, no casing? Does it need to be 'birthed' and placed in a homemade habitat, or will it grow in the bag the same as the other growkits? These kits work in a similar fashion. The kit comes with its own bag, but the contents of the box need not be submerged prior to growing. Complete instructions will be provided of course. 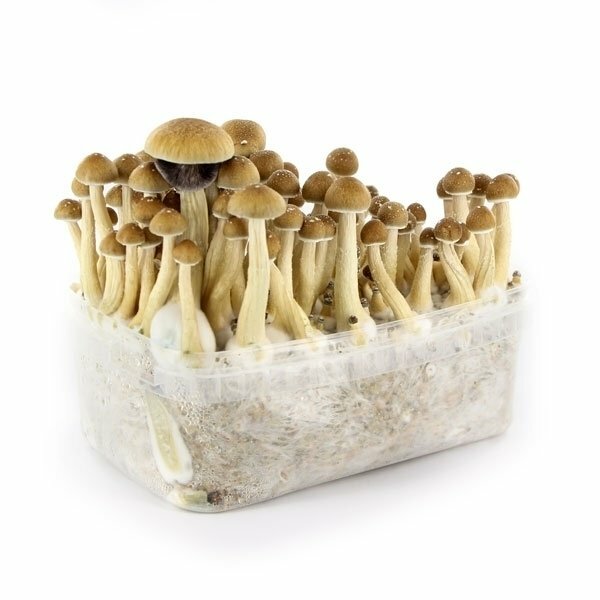 Designed to keep your magic mushroom grow kits at the optimal temperature, this electronic heat mat help ensure a successful grow. Here are the basics of its use, and how it stacks up against mushroom grows that do not use heat mats. 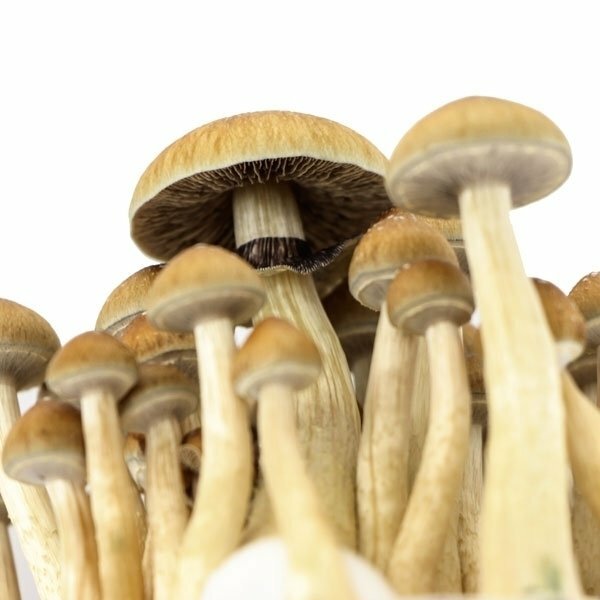 We show you how to use the Supa Gro 100% magic mushroom kit. 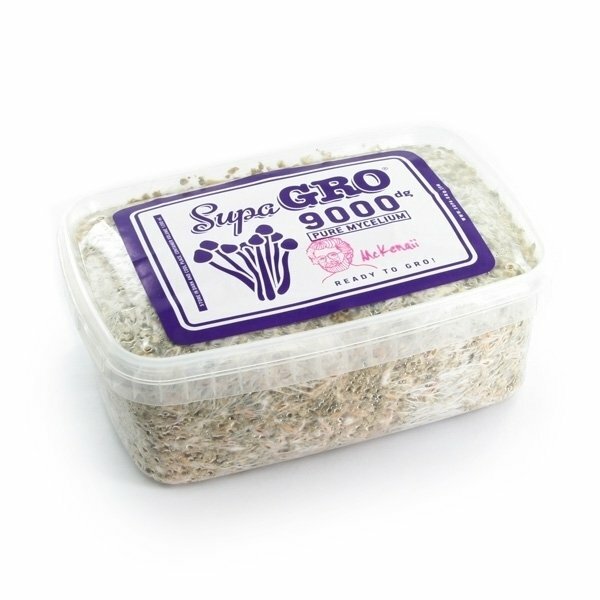 This mind friendly cake containing pure mycelium from Supa Gro 100% will provide you with multiple flushes of strapping healthy cubensis mushrooms. With up to six flushes per kit and 600-900 grams per flush, this no sweat kit can't be beaten. Requiring nothing more than clean or gloved hands, the occasional squirt of water and a snug place to grow. This fun fungus is as easy as one two three.